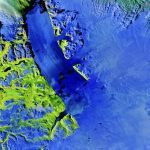 The European Space Agency (ESA) Copernicus Sentinel-2A satellite collected this false-color image over the jagged islands along the west coast of Greenland on Aug. 8, 2017. Covering 10,500 square kilometers, Bolivia’s Salar de Uyuni is the world’s largest salt plain. On Sept. 24, 2017, the VIIRS instrument aboard NASA-NOAA's Suomi NPP satellite provided this visible image of Hurricane Maria when it was northeast of Bahamas and east of the Florida east coast. 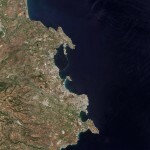 The province of Syracuse on the southeastern coast of the Italian island of Sicily is pictured in this image from the European Space Agency (ESA) Sentinel-2A satellite. The Copernicus Sentinel-2A satellite takes us over the Petermann Glacier in northwest Greenland in this false-color image captured on Aug., 16 2017. The NOAA satellite GOES-16 captured this geocolor image of Hurricane Irma passing the eastern end of Cuba at about 8:00 a.m. EDT on Sept. 8, 2017. Scientists are using satellite data to monitor the drought that has gripped Italy in 2017. Wildfires, water scarcity and billions of euros worth of damage to agriculture are just some of the effects of this summer’s drought—not to mention the relentless heat. NASA-NOAA’s Suomi NPP Satellite provided a night-time and infrared look at Hurricane Irma, revealing the power under the clouds. NASA’s GPM also provided a look at the rainfall being generated by the storm. 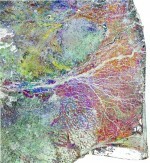 For the first time in India, a state government is using satellites to assess lost crops so farmers can benefit from speedy insurance payouts. Shiveluch, one of the world's most active volcanoes, is seen poking through above a solid cloud deck, with an ash plume streaming to the west.